~40% savings on delivery cost, ability to track clicks, device and OS-based segmentation, behaviour-based targeting to enable effective cross-channel marketing –just some of the ways you can maximize India’s most popular marketing channel. In an age of escalating costs and redundant digital strategies, the key to staying relevant is a targeted, personalised, and relevant marketing strategy. See how Smartech lets you segment your users and re-target them effectively, while slashing your SMS costs and efficiency by up to 40%. How Netcore Smartech’s detailed tracking reports capture and consolidate every digital move of your user. 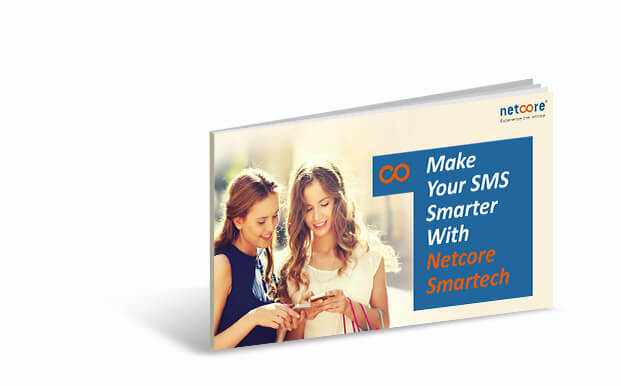 How 30-40% savings on your SMS cost can be a reality with SMART SMS. How to deploying an effective, data-driven, cross-channel marketing strategy to re-engage your users based on their digital journey. How SMART SMS helped HDFC LIFE increase CLV through automated re-targeting based on users’ preferred communication channel.